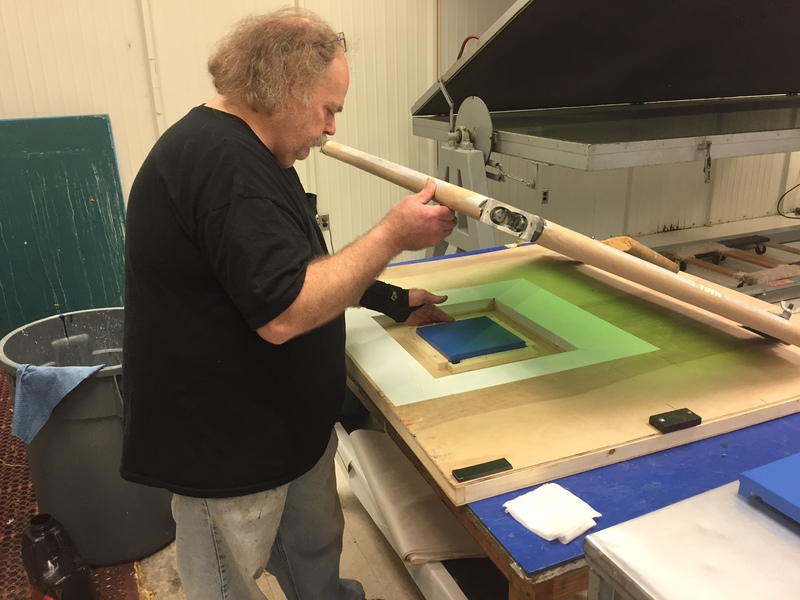 The Graphics Shop uses a highly sought after, 4 color, industrial screen print processing system which prints up to four different colors and 133 lines per inch. 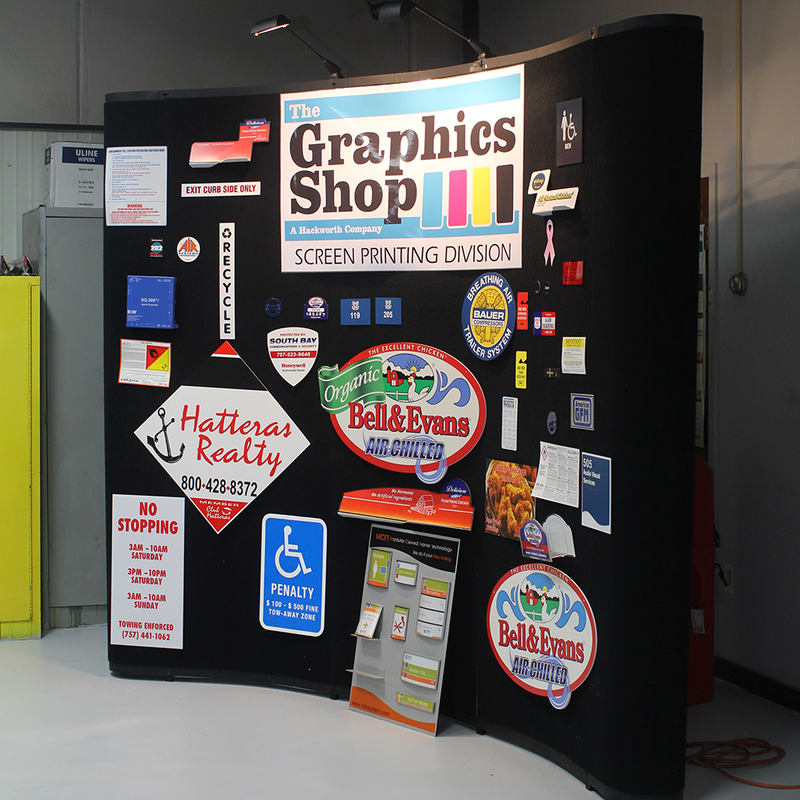 Meat processing companies have relied on The Graphics Shop's expertise for many years. 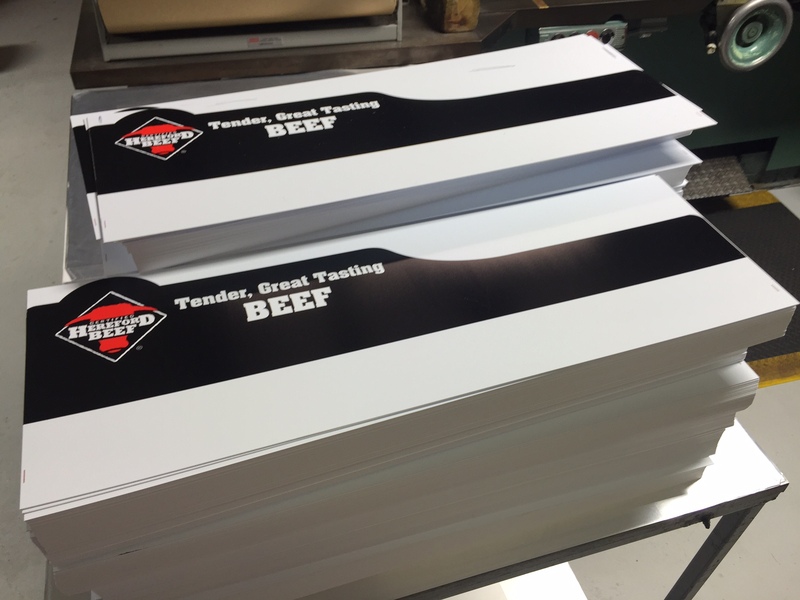 We serve some the most respected names in the beef, poultry and pork industry like Bell & Evans, Catelli, Pine Brook, Delicioso and more. 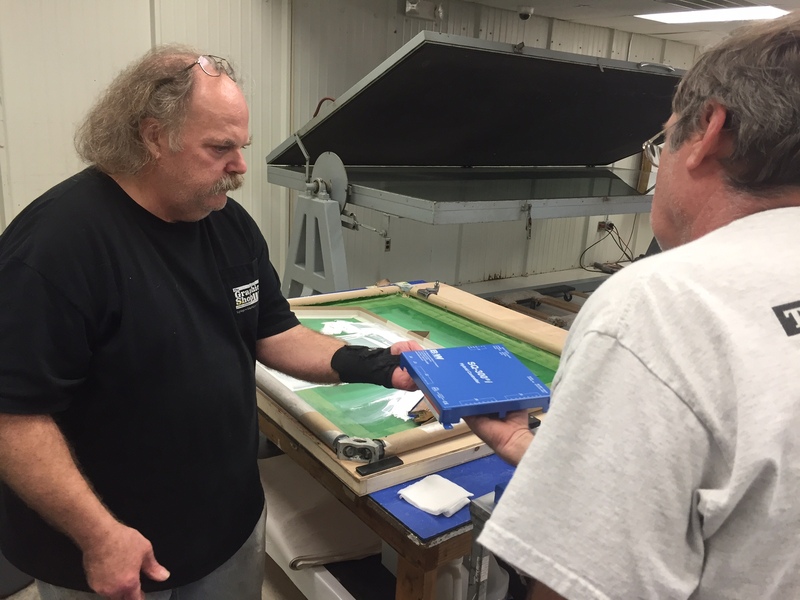 TGS screen prints, die cuts and molds meat case dividers, rail strips and danglers used to market meat products in grocery stores all across the United States. 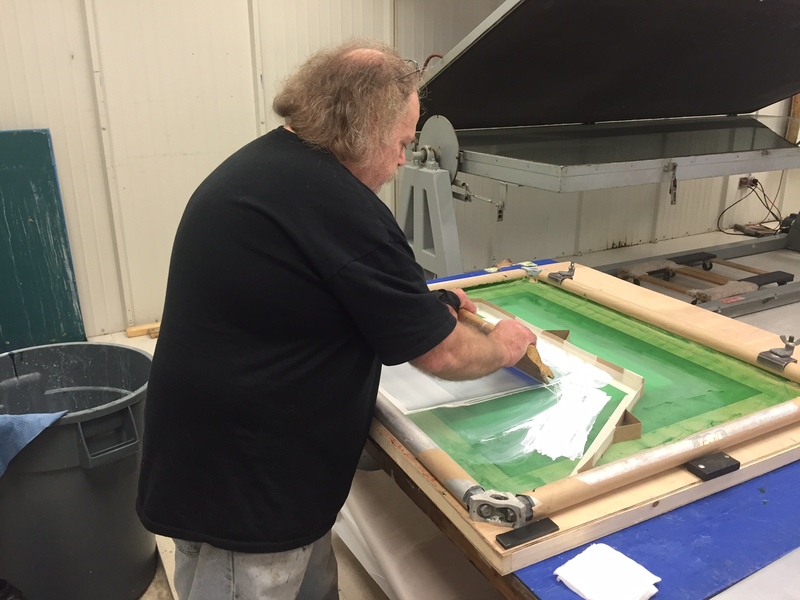 Our screen printing team has more than 60 years of combined experience which allows us to offer customized solutions that other printers cannot. Take the Electrical Equipment Company for example. 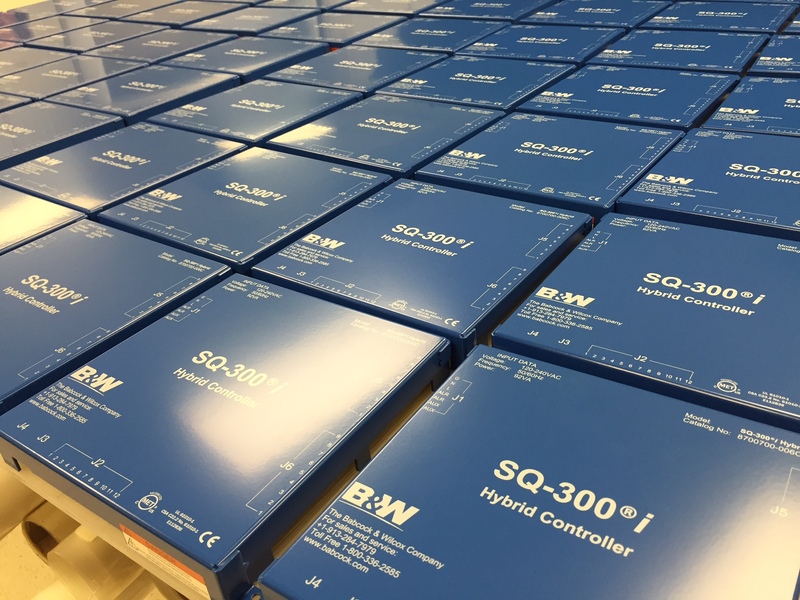 They were relying on a Chinese company to print on their electrical box lids. When that was no longer viable they came to TGS. 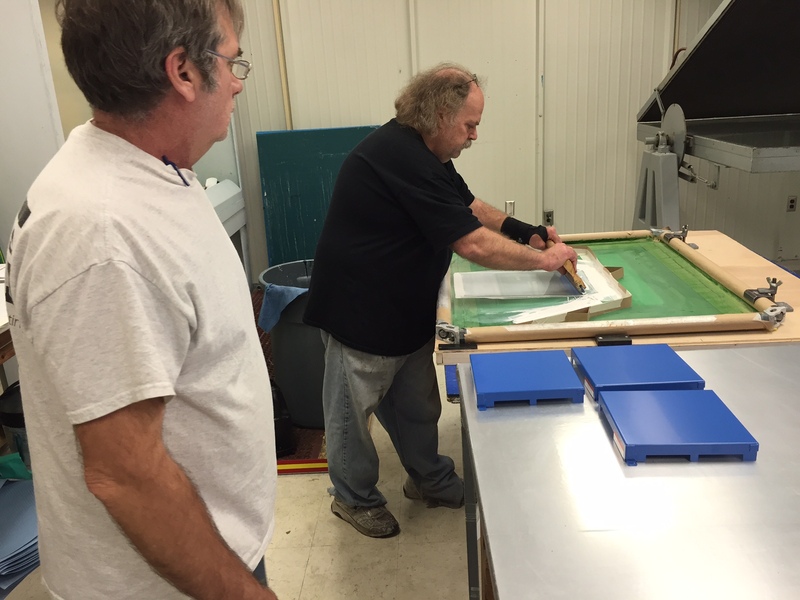 Screen printers Larry and Paul working on the specialty epoxy ink screen print job for Electrical Equipment Company. Don't se﻿e﻿ the application you need here? 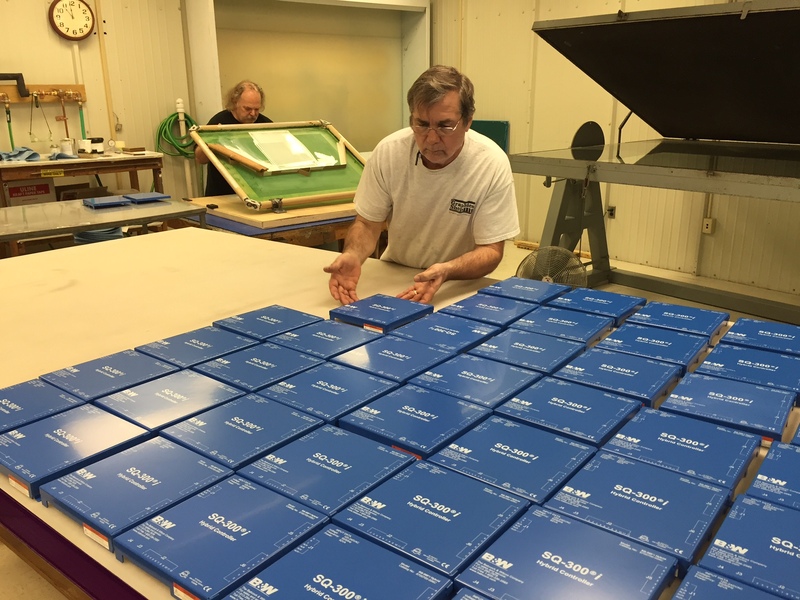 ﻿﻿We will work with you to find the best possible ﻿﻿solution﻿﻿ for your business. ﻿﻿Contact us today for more information!